What’s your favorite color? Is it blue? Blue is by far the most popular color in the Western world, with almost half of both men and women choosing it as their favorite. It also happens to be the favorite color of the tsetse fly, the insect which is infamous for carrying the parasite responsible for sleeping sickness, also known as African trypanosomiasis. Researchers working in Uganda have begun to exploit this detail about the tsetse fly in order to combat the disease, an effort that could potentially end the threat of sleeping sickness for the millions at risk in sub-Saharan Africa. 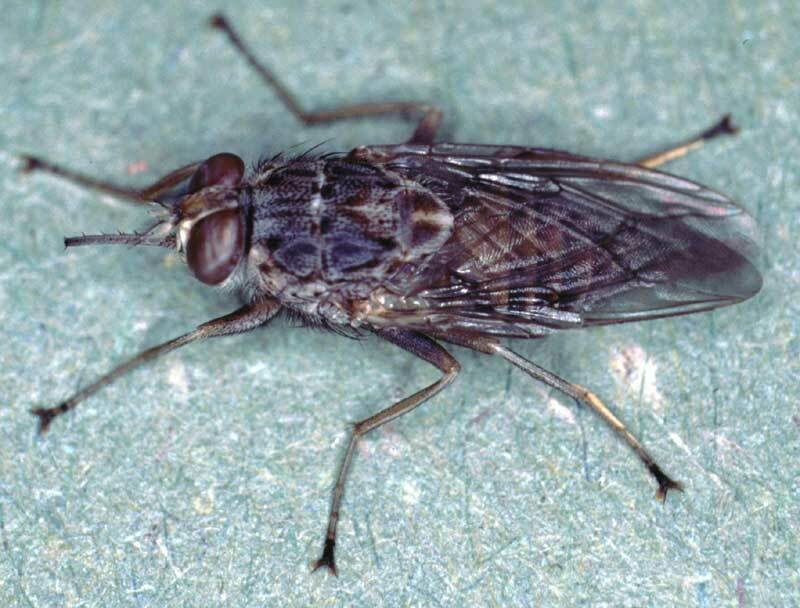 Sleeping sickness is a parasitic infection caused by the bite from the tsetse fly. The infection spreads throughout the infected person’s bloodstream, causing such symptoms as fever, headaches, swollen joints, mood swings, daytime sleepiness, and possible death. The disease has had quite a few epidemics in the last century; the most recent of which was in the 1990s and had an estimated 300,000 cases with around 40,000 official diagnoses and treatments. Correctly diagnosing this infection remains difficult, as it shares symptoms with other diseases commonly found in Africa such as tuberculosis, malaria, HIV, and typhus. Therefore, a correct diagnosis is dependent on laboratory tests, which are costly and ultimately impractical for the affected population who generally live in poor and rural communities. Since detecting and treating sleeping sickness is a complicated process, research has instead focused on preventative methods to reduce number of people affected. The total number of cases has dropped significantly in recent years, and the World Health Organization hopes that the disease will be eliminated by 2020. In Uganda, researchers from the Liverpool School of Tropical Medicine have developed a unique method to fight this disease. The tsetse fly happens to be very attracted to a certain blue color, which the researchers have utilized by making targets of blue cloth saturated with insecticide. These targets are placed along the shores of river banks, which are the natural breeding grounds of the tsetse fly and near to human settlements. This is certainly a groundbreaking opportunity to eradicate sleeping sickness in Africa, as this effort is cheap, sustainable, and actually seems to be working. In the past six months, people have placed 35,000 targets alongside the rivers of Uganda, and entomologist James Aroba estimates that there has been up to a 90% reduction in the tsetse fly’s population. Experts are now planning to use these targets alongside rivers in other affected countries, particularly the Democratic Republic of Congo, which accounts for around 80% of the world’s sleeping sickness cases. Ending sleeping sickness, however, is a relatively small accomplishment for international health. There are many other diseases that will continue to wreak havoc around the world, making the future health systems of susceptible communities very uncertain. But what the global community can perhaps learn from the fight against sleeping sickness is the importance of finding unique and different ways of prevention.